Nice garden, you have there. It took a while for you to have every tree that you wanted from your botanical supplier. But finally, they are all in your garden. You have to admit that it took money and patience to have such a professionally designed and constructed garden. But have you ever thought of the raised mound that you had installed? 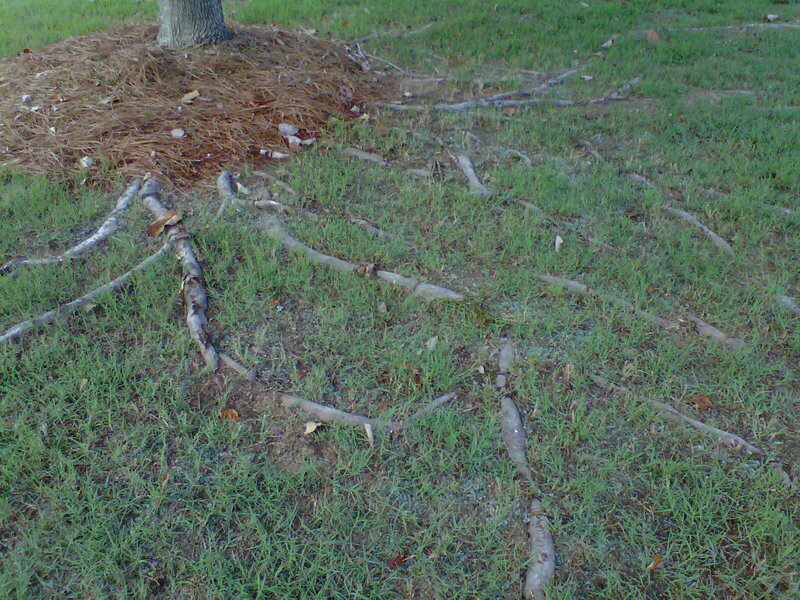 Can tree roots block or clog raised mounds? Back then, you really had no choice. You just had to go with a raised mound septic system because a conventional septic system would not be advisable for the area. It seemed like a good idea to fit into the landscaping design so you decided to just make the most out of it. Raised mounds are said to be almost maintenance-free but to some, it is a very complicated system that has to have special considerations. The raised mound system is designed to take over soil types with very fast or very slow percolation rates; shallow kind of soil that covers creviced bedrock; and a water table that is very high. The soil typed in your area could have any one of these characteristics or even a result of their combination. When you decide to have a raised mound, you think of how it may complement everything else in your yard. With this, you try your best to incorporate it into your landscape. The best way to accomplish this is to plant trees around it or maybe on it. If you do this, you are bound to have a really big bill for repairs and restoration of the system. When you plant shrubs, ground covering plants, and trees over your raised mound, it gets clogged up particularly the seepage bed that surrounds it. If you decide to have a vegetable or fruit garden over your raised mound, the produce will most probably be not good for you to eat. Can tree roots block up or clog a raised mound septic system and the answer is always yes! Any roots that are planted over a raised mound septic system will eventually cause the home owner problems. The root systems can be extensive and grow into the septic system causing damage and possibly costing you the home owned thousands in repair. Trees are very large and woody. As you know, they have a complex root system that allows them to anchor into the soil that they are planted into. They use the roots to support their weight and development. Planting them on raised mounds will definitely block the system. A raised mound is placed above the surface of the soil. It is comprised of a sand fill with a bed of gravel. There is also a connection of pipes that is called the distribution system. With a pump chamber controlling the flow, the effluent is distributed equally throughout the bed. Then, the effluent flows very slowly through the perforated pipes down to the bed of sand and gravel. If the roots of trees or shrubs penetrate into the pipes or filters of the raised mound, then it wound certainly affect the efficient flow of the system. This would result in the backing up and the failure of the mound system. When the tree roots do clog up your raised mounds, you have to ask a septic professional’s help to make sure that the roots are eliminated in all of the raised mound’s components. Using root killers is not an ideal means to get rid of the roots. The toxic chemicals that these root killers have polluted the environment. Even if you do get rid of the roots that surround the pipes, the parts that clog them are still there. The pipes may already be damaged or dislocated. So it is still more practical to manually repair or replace the pipes and remove the clogging roots. Just getting rid of the roots that penetrate block or clog raised mounds systems isn’t enough. You have to make sure that you remove the plants from that particular location or they will just grow back into the pipes and cause the same trouble all over again. It is better to have trees far away from your raised mound to avoid expensive septic repairs.